American Aerospace provides long endurance, beyond line of sight unmanned aircraft system products and services to oil and gas, electric transmission, and emergency management customers. American Aerospace is lead by David Yoel, CEO and Founder; Marty McGregor, CTO; and Al Pizzica, VP of Strategy. BioBots builds 3D bioprinters and bioinks. Researchers use our technology to build 3D living tissues out of human cells. BioBots is led by Danny Cabrera, CEO; and Ricardo Solorzano, CTO. Core Solutions is led by Ravi Ganesan, President & CEO; Rachna Bagdi, COO; Anand Iyer, VP of Engineering; Dana Skaf, Senior VP of Professional Services; David Hellhake, VP of Implementation; Beth Geller, Controller. DECNUT provides health care organizations with dynamic point of care solutions designed to improve clinical decision making. DECNUT apps seamlessly in-tegrate evidenced-based clinical practice guidelines in-to provider workflow and ul-timat-ely contribute to improved re-source utilization, care and outcomes. DECNUT makes it easy to aggregate, update, disseminate and evaluate tailored clinical decision support. DECNUT is led by Founder Dr. Kathleen Lee. Defend Your Head (DYH) has developed a highly innovative protective helmet cover to reduce head trauma for all contact sports. Its unique patented technology has a number of safety attributes designed to diminish the impact- force outside the helmet upon contact. In rigorous testing at five independent laboratories, ProCap was shown to absorb and dissipate energy, reduce the speed of impact, and have a low coefficient of friction (slipperiness) that deflects glancing blows (rotational hits) in the direction of the hit to significantly reduce sports injuries. It is the only outer shell technology on the market that is antimicrobial, heat and cold resistant, and can be both colored and decaled. DYH is led by John Roman, Founder & CEO, who has overall responsibility for the company’s vision and manages the direct and indirect sales channels including training, support, and compensation plans, drives branding and marketing initiatives, and provides the industry expertise and network essential for success. Roman spent 9 years in the NFL, has first hand experience with head trauma and it’s affects, and is passionately committed to the ProCaps market penetration to increase the safety of athletes everywhere. Roman brings more than 35 years of marketing, sales, and entrepreneurial experience to DYH gathered from the trust and wealth management arenas. He was previously President of Merrill Lynch Trust Company, President & Director of Global Marketing at Valley Forge Capital Advisors (VFCA), President of Quaker Funds, and Head Of Bryn Mawr Trust’s Wealth Management Division. Gencore offers a revolutionary cloud application analytics solution that provides high-fidelity performance analytics & monitoring in a low-friction way. It is geared towards analyzing complex applications (micro-services, containers) in a holistic manner and yet requires no code modifications to existing applications or additional performance overheads, making it easy to install and adopt. With Gencore, cloud operators are able to confidently do multiple deploys a day while keeping a close tab on performance drifts and subtle issues between deploys. The company is a spinoff from the Computer and Information Science department at University of Pennsylvania, commercializing award-winning research from the university. The company has offices in Sunnyvale and Philadelphia. Gencore is led by Harjot Gill, Co-Founder & CEO; Tanveer Gill, Co-Founder; Cam Nguyen, Co-Founder; and, Boon Thau Loo, Co-founder & Advisor. Grand Round Table (GRT) provides innovative clinical decision support solutions integrated into the electronic health record (EHR). Our engine is constantly running in the background of the EHR keeping track of high risk patients to streamline provider workflow in delivering the latest standard of care. Grand Round Table is led by Eric King, Co-Founder & CEO; and John Schaeffer, Co-Founder & CTO. KickUp aims to end the intellectual, physical, and geographic isolation that educators face by providing access to quality coaching, collaboration, and mentorship opportunities. The KickUp platform creates collaborative networks for existing communities of educators, and by providing individual educators, schools, and districts access to a coaching and collaboration exchange. KickUp is led by Jeremy Rogoff, Co-Founder and CEO; Victoria Kinzig, Co-Founder and COO; and Eric Krupski, CTO. MeetBall is a simple way to help fans navigate the crowd and improve their experience at large events like NASCAR races, football games, concerts and festivals. The MeetBall location-sharing platform provides community and event organizers, and people within those communities, the ability to connect and share experiences in real-time. This is done through the use of indoor and outdoor location sharing technologies (GPS and beacons), custom maps, compass navigation and a feed of live social content. As the first event and venue focused navigational app built by the fans for the fans, MeetBall is poised to change the way live events everywhere are experienced. 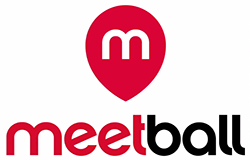 MeetBall is led by Ryan Owen, CEO; Joe Pettibone, CTO; Jeffrey Josephson, COO; Matthew Owen, VP of Growth; Nate Goins, VP of Sales; Dominic Macanas, Lead Developer; Derek Hearn, Principal Back-End Engineer; Jason Meeks, VP of Communications, as well as an experienced group of Advisors with strategically aligned skills and networks. Optofluidics is finally bringing particle analysis to the 21st century with our state of the art nanotechnology-enabled instrumentation. Our measurement tools are used for making better, safer and more innovative particle based products by industrial and academic researchers across the world. Company is lead by CEO Bernardo Cordovez, PhD and President Robert Hart, PhD. ROAR for Good is aimed at diminishing attacks against women using wearables, mobile technology and education. It’s developing fashionable jewelry that emits an alarm and light when activated, messages friends and family, and calls the authorities. ROAR will also donate some of it profits to charities dedicated to tackling assaults through education. ROAR for Good is led by Yasmine Mustafa, CEO and Anthony Gold, CTO/COO. 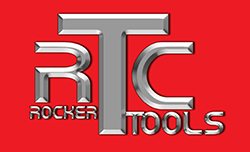 Rocker Tools is an innovative designer, manufacturer, and distributor of specialty construction tools. Rocker has developed “The Rocker Pro” that helps one person hang up to 50 sheets of drywall in 4 hours for more than a 100% productivity improvement. Rocker Tools is led by its co-owners: Ryan Malone, Tim Gower, Will Kleemeier and Phyllis Ludwig, CFO. Yorn® is the premier data platform that sets the standard for experiential insight and intelligence by associating, for the first time, real-time patient generated feedback with all forms of patient data streams. Utilizing its Experiential Telemetry™, Yorn guides organizations to better understand and improve the patient experience by automating and scaling the collection and assessment of relevant patient data obtained throughout the continuum of care. Yorn is a real-time data platform, accessible from any internet-enabled device, which links patient-generated feedback with associated health data. Leveraging the science of Experiential Telemetry, Yorn provides remote, real-time collection of information directly from patients, family and staff throughout the care continuum, from pre-admission to post-acute and everything in between. Yorn integrates this patient generated data with quantitative data from electronic health records, medical records, devices and other sources to create a profile of a patient’s overall care experience. A patient’s experiential profile can then be compared to profiles of similar patients with known outcomes to inform appropriate care treatment and care plans. Optimized for mobile and HIPAA compliant, Yorn’s “Feedback-as-a-Service” (FaaS™) enables all stakeholders to identify root causes of potential problems and make appropriate operational changes that improve patient experience, patient satisfaction, and patient compliance with care plans. Yorn is the only data platform that combines a patent-pending, patient-facing software interface with a backend data aggregation warehouse, that is designed solely to improve the patient experience. Such improvements can result in significant financial gain for the institution and protection against reimbursable erosion. Yorn is led by Rick Rasansky, CEO. ZSX Medical is a medical device company re-inventing surgical closure with Zip-Stitch™, its rapid surgical closure platform. Internal closure the hardest part of Minimally Invasive Surgery, takes the lion’s share of surgical time and accounts for many surgical complications. Zip-Stitch™ will enable gynecologists to easily and effectively close a wound 3-6 times faster than previously. Dan Mazzucco, Ph.D., CEO, has been in the medical device industry for 14 years. Prior to joining ZSX Medical, Dr. Mazzucco directed manufacturing, preclinical, clinical, and regulatory development at Aqumen Biopharmaceuticals, a Japanese ophthalmic biotechnology startup. Dr. Mazzucco earned a doctorate in medical and mechanical engineering from Harvard Medical School and the Massachusetts Institute of Technology in the Division of Health Sciences and Technology. Eric Rugart, Co-Founder & Board Member, is the CEO of Feta Med, Inc., a medical supply business serving the ob/gyn community in more than 300 hospitals. Mr. Rugart has an extensive entrepreneurial pedigree, and is experienced in hospital sales, purchasing and GPO contracting.